Using containers in a DevOps environment makes sense if businesses want rapid delivery of software that is more agile, speedy and cost-effective than running applications in virtual machines, but it is important not to overlook security. Failure to foster the right organisational culture, understand the unique attack surface, set the right restrictions, protect application data and keep watch on how security tools are maturing, could expose enterprises to cyber risks. Conversely, if the right tools and disciplines are applied, containers represent an opportunity for enterprises to rethink and improve security as applications move to a microservice architecture. Container orchestration, for example, can help enterprises to manage cloud application security better. While security pros have faced the difficult choice between adopting innovative tools from startups and waiting for tools from suppliers they trust, that is changing. 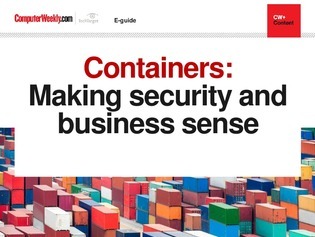 Established security suppliers are finally adding containers to their repertoire, but now security pros must decide between trusted platform integration and the latest features from startups.